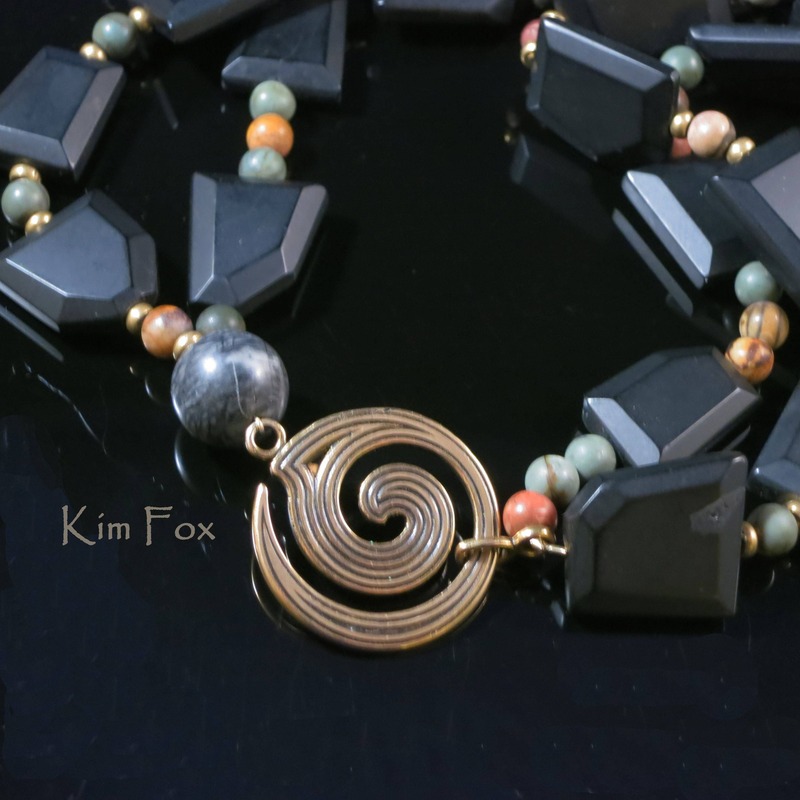 I call this clasp/pendant the fire spiral as it reminds me of fire when the flame is in the wind. The clasp is 1 1/2 inches by 1 inch in size. The spiral is multifunctional as it is a beautiful two sided pendant or a secure clasp of one or more strands. 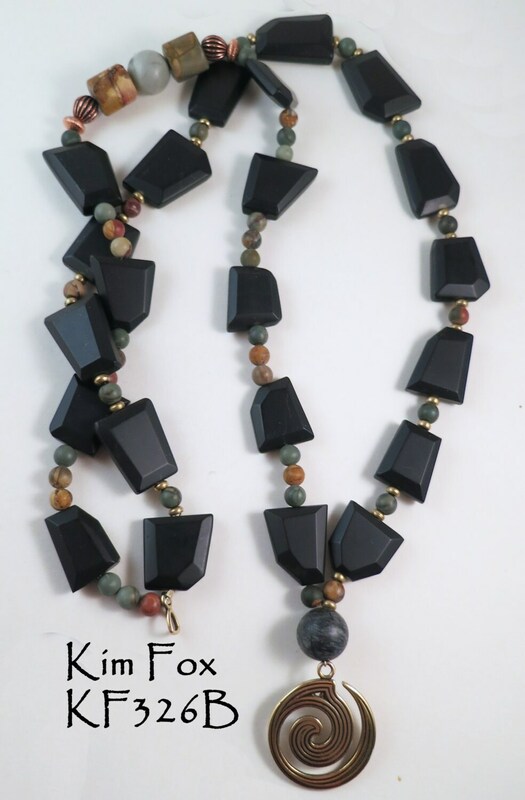 I make a smaller version of this clasp as well. 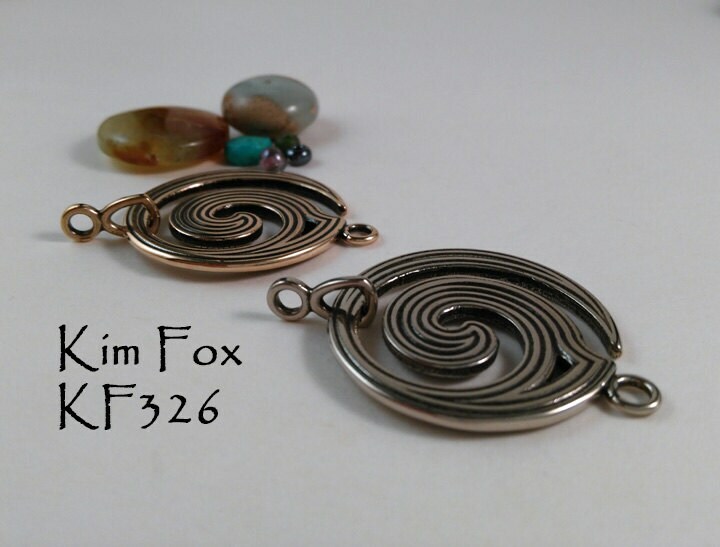 I can see this clasp used with beads, silk cords, leather, kumihimo, bead weaving. 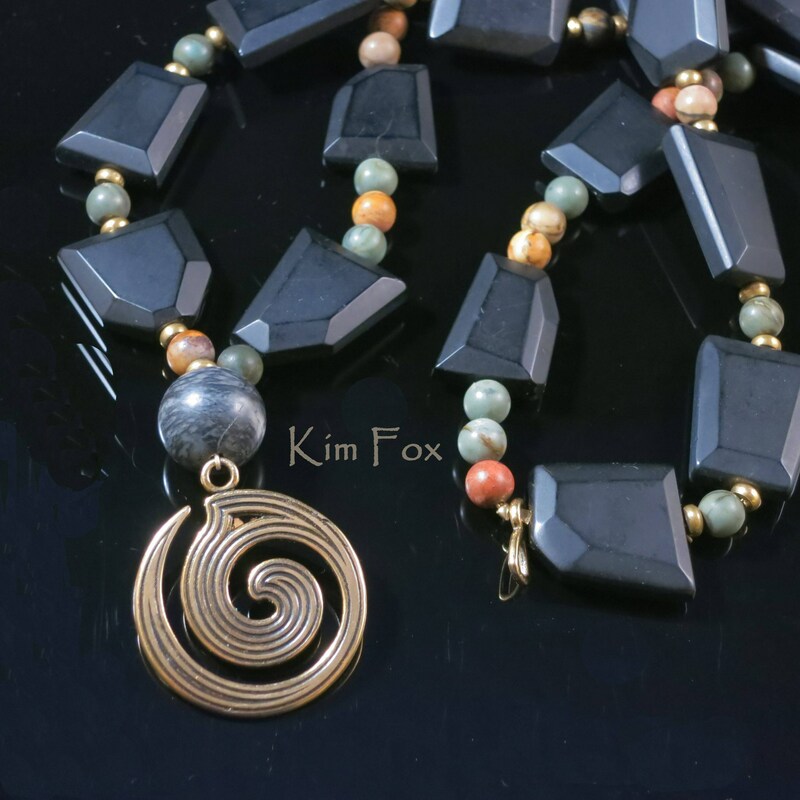 I have placed the loop a little off center of a long 34 inch necklace and used the spiral as a pendant and then doubled it up into a short two strand necklace. The pattern is the same on both sides so it does not matter if it spins over. I think the spiral is a symbol of transformation, meditation, fire, a path and many other things. 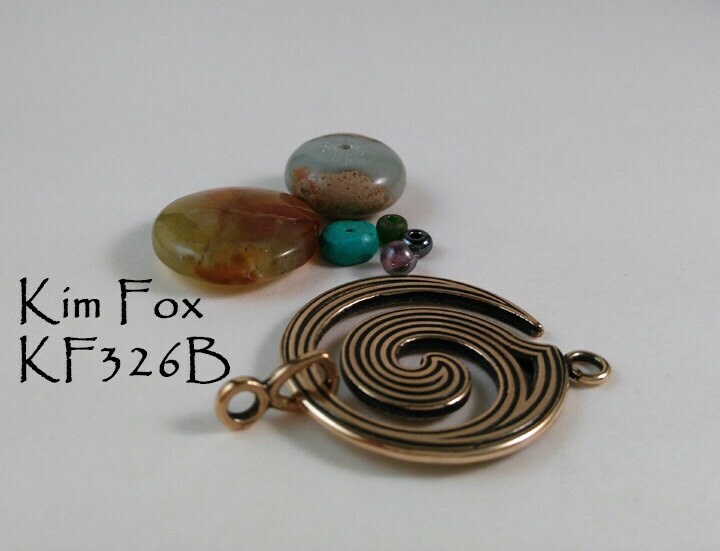 The spiral is perfect on a man or woman's piece of jewelry. Nice design and weight to this clasp. Has so much potential. 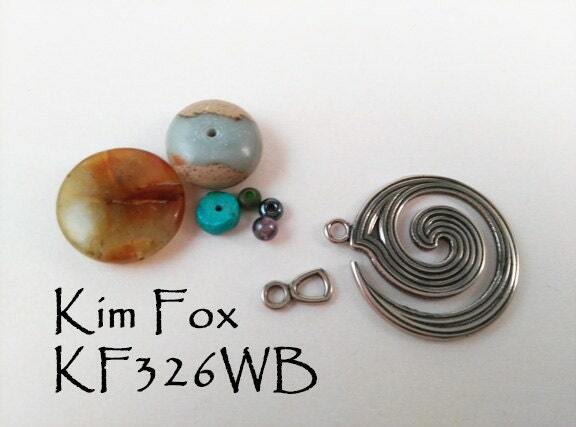 I need to decide how I am planning to use this - as a clasp, or a focal pendant to hang one of my pendants! Love your artwork!